At Rituals Salon our mission is to give guests a great experience, while striving for excellence in customer care. 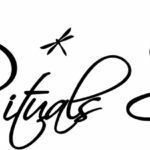 Rituals Salon will keep a strong base of team-oriented employees, creating an open, non-competitive environment, so that our guests can enjoy the convenience of working with any one of our talented team members. We will maintain the leading edge in current and upcoming styles with continued advanced education. By paying special attention to the guests’ needs, Rituals Salon is recapturing the lost art of “customer service” one guest at a time.